April 13, 2017 By Roddy Russell Jr.
Not a great match, hopefully a lot of lessons learned afterwards. Here are some points to look at after New York City’s FC’s final visit to RFK Stadium (unless we meet again in playoffs). 1. [What do you mean by “final visit”?] Oh yeah, that’s right! Let me explain. 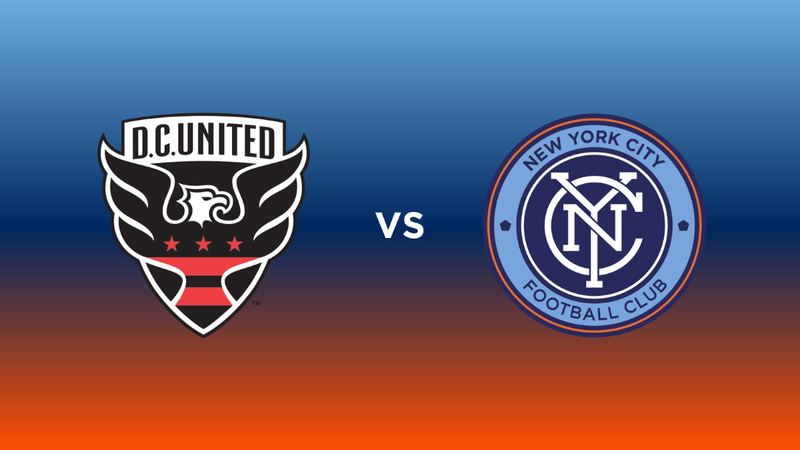 This was potentially the final DCvNYC fixture in RFK Stadium. There are only 13 more regular season home matches for DC United in that stadium. Next season, they’ll be opening Audi Field. But there is doubt that it will be open in time for the start of next year’s season. They plan to open in June 2018, well into the regular season. Proximity to a Metro station is not as great as RFK, but still good (Navy Yard-Ballpark station on the Green Line). 2. Back to the actual match, so far we have only seen two total changes to the lineup, and they are both at the same position, right back. First it was RJ Allen in the first match, then Ethan White held it down for three consecutive matches, and then we saw Frederic Brillant start at right back. I’ll leave that to you to decide if that was a good move by Patrick Vieira. 3. David Villa likes scoring against DC. He scored in all but one match, the other 2-1 loss on October 3, 2015. Frank Lampard scored the goal in that one. But Villa kept the average at one goal per appearance against DC since netting two earlier this season, and is now at 7 goals in 7 matches. DV7! (Sorry, terrible joke…) Also of note, so far, all three of Villa’s goals this season have been against DC United. 4. In the stadium, the folks at DC United decided to show a video of all of the goals DC had scored against City prior to Saturday before the first half kickoff. Eight goals sounds like a good handful, but compare that to the 14 City has scored against DC. Now the aggregate stands at 15-10 in favor of NYC. Also worthy of pointing out: out of the eight goals DC has conceded, five belong to NYC. 5. The current regular season head-to-head record now stands at 4W-0D-3L in favor of NYC over DC. They’re catching up, but they’ll have to wait until next season, since this is the last regular season match between the two clubs. 7. Now I’m at 1W-0D-4L for attending NYCFC matches. But I wasn’t too much upset at this loss. Consider this: if this were a two-legged tie, the aggregate score would be 5-2. Now, it’s off to Philly on Friday. Catch the match on ESPN at 7pm EST.